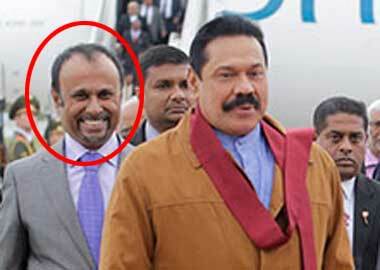 Udayanga Weeratunga Cannot be Extradited to Lanka as Mahinda Said – Legal Proceeding to Follow. The former Sri Lankan ambassador in Russia Udayanga Weeratunge is due to attend the court; his lawyers informed the Fort Magistrate. The Attorney General informed the Fort Magistrate on June 29 that Udayanga was not in a position to come to Sri Lanka as he is imprisoned in United Emirate. He is a suspect on a red notice issued by the International Police and also issued an open warrant for the arrest from the Sri Lanka courts. Senior State Counsel Udara Karunatilake, appearing on behalf of the Attorney General informed the Court that the officers of the Finance Crimes Investigation Department should be arrested and fetched him to Sri Lanka. Meanwhile, on the 29th of this month President’s Counsel Anil Silva, who appeared for former ambassador has informed the court that, Udayanga Weeratunga is expected to come to Sri Lanka appear for the investigation of Mig aircraft deal. If the suspect is expected to return to Sri Lanka, the first thing to do is to inform the United Arab Emirates’ Court of Ajman province. The Senior State Counsel told the court that CID would arrest him and take Sri Lanka only after bringing him to a SriLankan flight with the order issued by the UAE court.